Over the past few years, particle physics, and particularly the high energy frontier being probed at CERN with the Large Hadron Collider (LHC), has taken a very prominent role in the media. Perhaps of particular interest is the spurious lawsuit in 2008 brought against the LHC (in the USA of all places) claiming the possibility that the LHC could create a world-devouring black hole, the magnet quenching incident also in 2008, and the announcement of a particle which is consistent with the Higgs boson predicted by the Standard Model (the theory describing the interactions of fundamental particles) on July 4th, 2012. Consequently, it is not surprising that in the spirit of art imitating life, particle physics, specifically particle accelerators, has also become more prominent in popular culture. As a physicist at CERN (the laboratory where the LHC is located), I am amazed to see particle physics being given the spotlight, but I am also slightly wary of ill-informed fiction causing a public backlash that could be detrimental to research. So, how have particle accelerators entered into popular culture recently? Three major films spring to mind: Spiderman 2 (2004), Angels and Demons (2009), and Ironman 2 (2010). 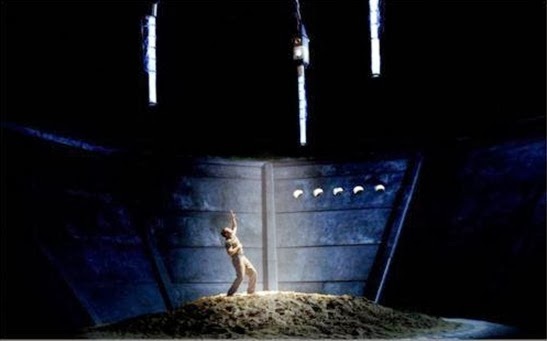 In Spiderman, one of the villains is the Sandman (Marvel universe, not to be confused with Neil Gaiman’s DC Sandman) who gains his superpowers by falling into a particle accelerator which consists of a pit of sand. While not very scientifically accurate, this instance of a particle accelerator does not really concern me; I don’t imagine that most people have a fear of falling into particle accelerators, nor do I expect that this is a question that would come up during a Senate review of the current US particle physics budget, although one never really does know. Next up is Angels and Demons, where CERN, the LHC, and particle physics play a much larger role. Here, antimatter is stolen from CERN and smuggled into the Vatican, where it then annihilates with matter to produce a rather spectacular explosion near the end of the film. This caused some public concern about both antimatter and CERN, but CERN worked very closely with the Columbia Pictures in the lead up to the film release to use this publicity as an opportunity to inform the public about its research. Parts of Angels and Demons were filmed on the CERN campus, and CERN even set up a dedicated webpage to answer frequently asked questions about the film. In the end, while Angels and Demons took some rather large scientific liberties that could have negatively impacted particle physics, the fact that antimatter cannot currently be produced in the quantities seen within the film was also well publicized. Both Dan Brown and Columbia Pictures took a very responsible approach to the film, reaching out to CERN and ensuring that the generated publicity was positive. did ever manage to do something like that with the LHC, the entire scientific community would be turned on its collective head. Alas, I don’t think that this is very likely. But the portrayal of particle physics in this episode does not bother me for three reasons. First, the accident at the accelerator occurs because of a very clear human error, not because the science itself is dangerous. 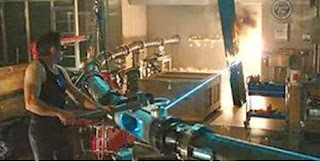 Second, the accident does not result in a huge a explosion (which a particle accelerator using current technology can’t create), and third, the result is clearly fictional. A portal to hell is not something we would expect from any reasonable scientific hypothesis. Unlike in Agents of Shield, the use of a particle accelerator in the "Three Ghosts" episode of Arrow managed to do the exact opposite of all three points listed above, and left me very frustrated. 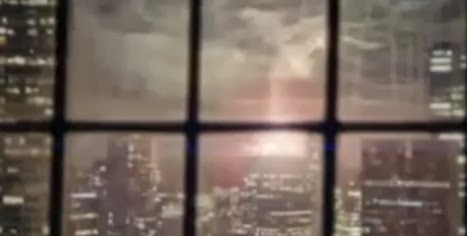 The accident results in a gigantic explosion (in the middle of a densely populated city), it is caused by an experimental error, and to someone not so knowledgeable in the field of particle physics, this accident might very well seem plausible. What really irked me is that the accident occurred due to a “malfunction in the primary cooling system” that blurred the line with reality, considering the magnetic quench incident at the LHC in 2008 was caused by a connection fault piercing a cryostat, which triggered an explosive decompression of the cooling system for the LHC magnets. However, there are two rather large differences between reality and Arrow; no one was hurt by the LHC incident and nothing outside the LHC tunnels was damaged. What worries me, is that in all of the examples of particle accelerators in popular culture that I’ve listed, an accident occurs. 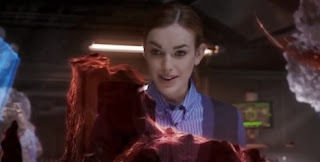 It would seem as if the good old standbys of giving superheroes powers (radiation from nuclear reactors, spider bites, serums, magical glowy alien thingymajigs) are being partially superseded by particle accelerator accidents. While I can’t say that I particularly mind, as the overall impact on particle physics research seems to be positive and not negative, it would be nice to see particle accelerators not causing accidents in popular culture, but rather leading to amazing breakthroughs. I guess, however, that the creation of the Flash using a particle accelerator truly is a breakthrough, and so I have nothing to complain about!